MOVE Live on Tour’s Derek Hough & NAPPYTABS Nominated for 2014 Emmy Awards for Outstanding Choreography! congratulations to Derek Hough and Nappytabs!!!! There is some amazing news to celebrate! 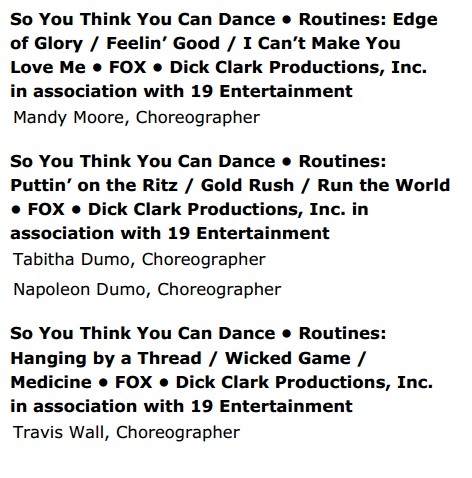 Derek was nominated for his 6th Emmy for Best Choreography, as well as, Nappytabs (Napoleon and Tabitha D’umo) for their 4th time for the Best Choreograpy Emmy! Both Derek and Nappytabs were nominated in 2013 for the same award, with Derek winning the award on the Primetime Emmys telecast last year! ‘Move Live on Tour’ is so lucky to have such talented, respected, and loved choreographers working on the tour. SOme of you might not know that there is a deep friendship between Derek and Nappytabs, which started from when they met on the set of Derek’s first movie, “Make Your Move”. Derek starred in the movie and Nappytabs were the choreographers, creating tap, lyrical hip hop, and contemporary dances for Derek! 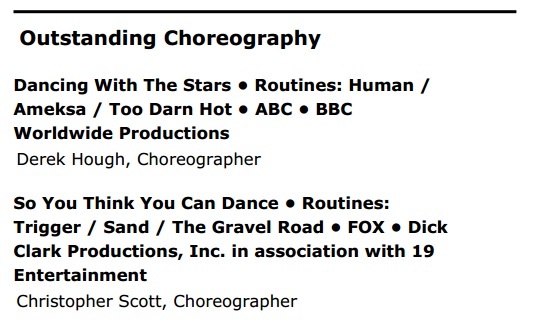 Check out the three nominated dances by Derek Hough. Ameksa features Artem, Henry, and Kathryn Mccormick (Step Up Revolution/SYTYCD). Human and Too Darn Hot feature Amy Purdy! 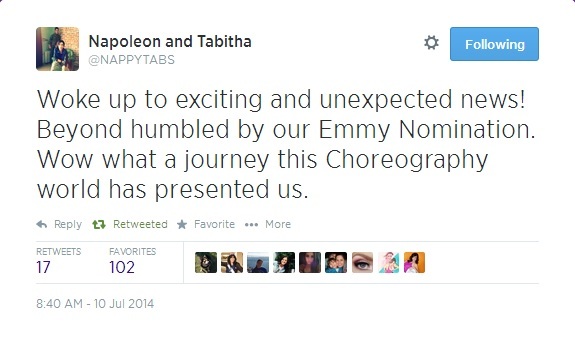 Below is a tweet and instagram photo from Nappytabs when they learned of their nomination! So humble and grateful! 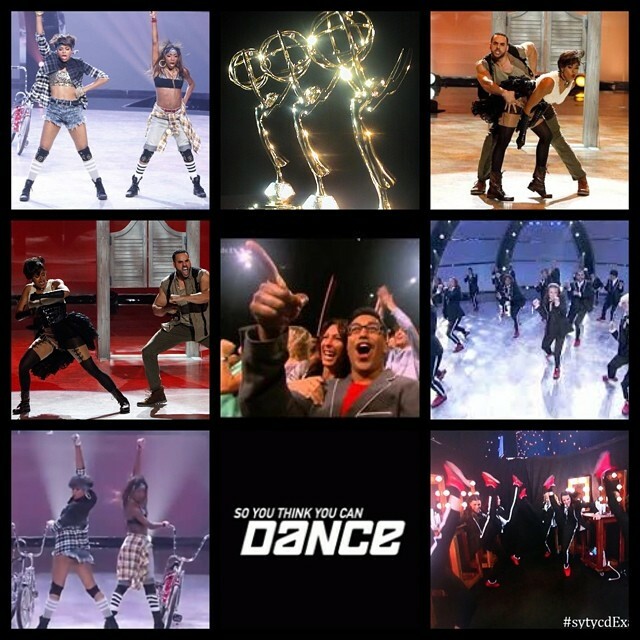 Check out their nominated dances from ‘So You Think You Can Dance’ below!